The Australian Logistics Council (ALC) has formed an Electric Vehicles Working Group to consider the full impact that this rapidly-evolving transport will have on the movement of freight in the years ahead. The working group’s initial membership will include representatives from Linfox, Woolworths, DHL Australia, Australia Post and a number of other ALC member companies. 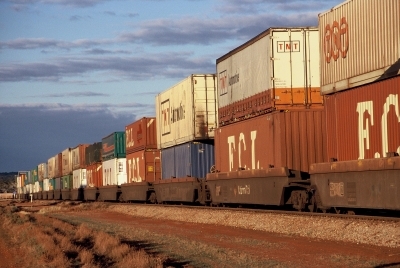 “It is important to recognise that electric vehicles will have an enormous bearing on the future shape of Australia’s freight logistics industry,” said ALC managing director Michael Kilgariff. “This makes it vital for policy-makers to focus on ensuring Australia has the right infrastructure and regulatory framework in place to permit the heavy vehicles of the future to continue delivering our mail, groceries, medicines, business supplies and online purchases every day. “The formation of this Electric Vehicles Working Group is part of ALC’s commitment as an industry leader to ensure the continuing efficiency and safety of this industry, as Australia begins the shift from internal combustion engines to newer technologies. “A recent study completed by Energia on behalf of the Australian Renewable Energy Agency and the Clean Energy Finance Corporation anticipates that by 2030, up to 50% of new cars sold will be electric vehicles. “There is every reason to believe that similar changes will also occur in the heavy vehicle industry – and we need to be preparing for that change now,” Mr Kilgariff said. “The ALC Electric Vehicles Working Group will promote the financial, social and environmental benefits of electric vehicles to industry and governments. “The Working Group will also be charged with developing policies that promote greater manufacture and uptake of electric heavy vehicles in Australia, in the interests of greater national supply chain efficiency and safety,” he concluded.